Location. 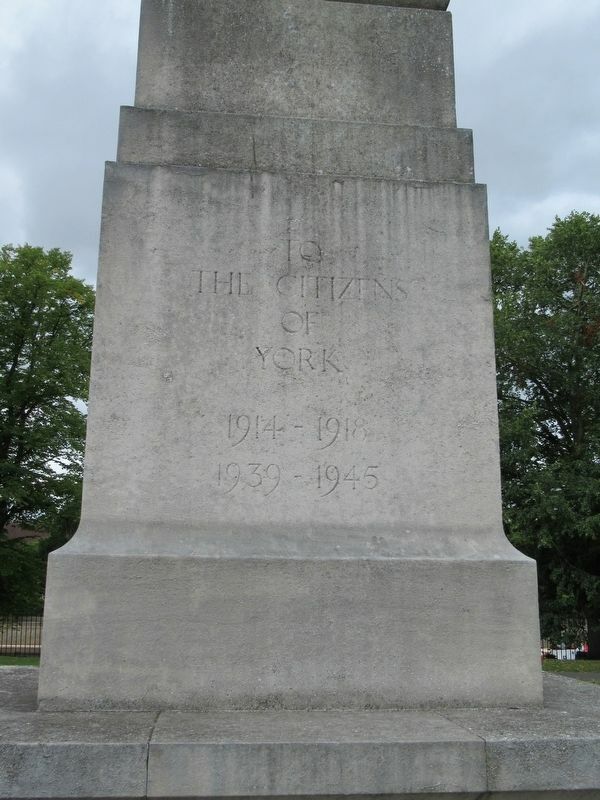 53° 57.595′ N, 1° 5.372′ W. Marker is in York, England, in North Yorkshire. Marker is at the intersection of Station Road and Leeman Road, on the right when traveling south on Station Road. Touch for map. Marker is in this post office area: York, England YO26 4ZF, United Kingdom. Touch for directions. Other nearby markers. At least 8 other markers are within walking distance of this marker. 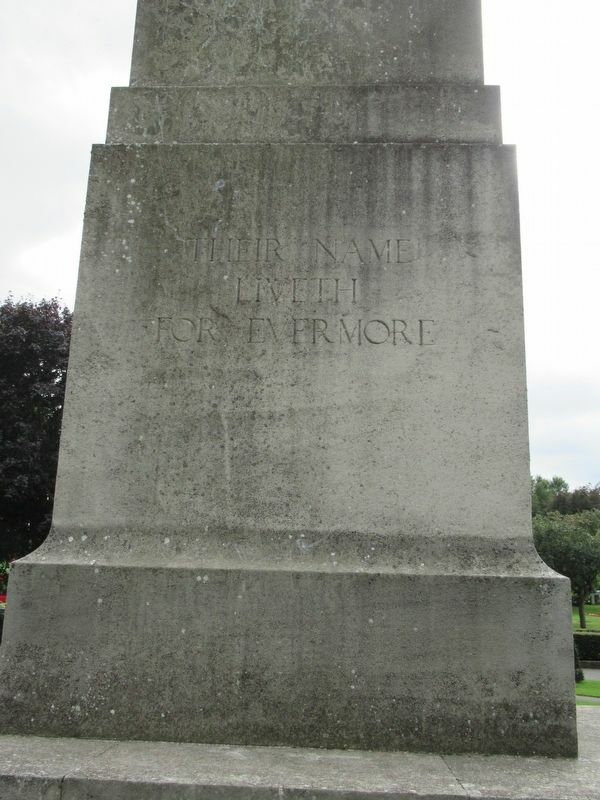 Afghanistan War Memorial (within shouting distance of this marker); George Leeman (about 90 meters away, measured in a direct line); North Eastern Railway Head Office (about 120 meters away); This Bridge (about 120 meters away); Northeastern Railway War Memorial (about 150 meters away); Lendal Tower (about 150 meters away); Charles Allen Tree (about 180 meters away); The Multiangular Tower (about 210 meters away). Touch for a list and map of all markers in York. More. 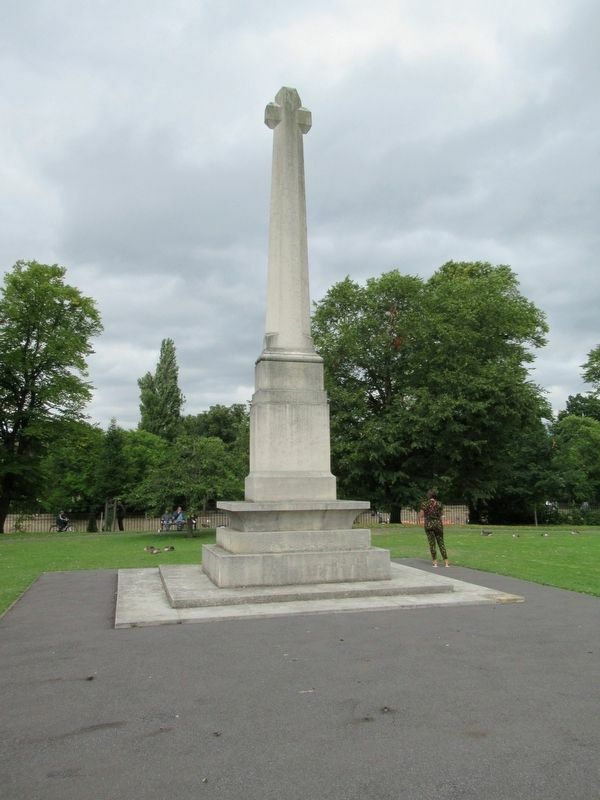 Search the internet for York War Memorial. Credits. This page was last revised on October 24, 2018. This page originally submitted on October 24, 2018, by Michael Herrick of Southbury, Connecticut. This page has been viewed 37 times since then and 4 times this year. Photos: 1, 2, 3. submitted on October 24, 2018, by Michael Herrick of Southbury, Connecticut.